The Dracut American Legion will host a Community Blood Drive on Tuesday, March 18, 2014, from 2 to 7 pm, 574 Broadway Road in Dracut. 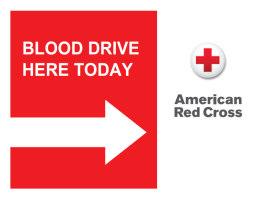 For an appointment, please call 1-800-RED CROSS (733-2767, or visit redcrossblood.org. Every 2 seconds, someone needs blood. Every donation you give helps the Red Cross do more of what they do. Plan to make a difference. Call and make any appointment today.